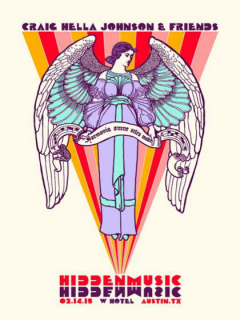 The Hidden Music Gala with Craig Hella Johnson and friends is the tenth annual spring fundraiser benefiting Conspirare. Since this year's event falls on Valentine's Day, the theme will be pure expression of love, making this a wonderful way to spend the amorous holiday. Food and cocktails will be provided courtesy of the W Hotel.